Three a day – it’s a number! Three people today, three people tomorrow, three on Friday. 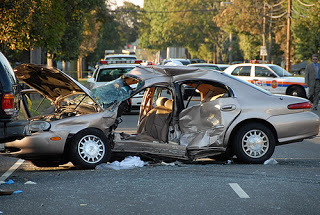 According to the National Institute for Occupational Safety and Health, three workers are killed every day, more than a thousand each year, while driving, riding in or working around motor vehicles in traffic. Three people a day! Does your company have in place a comprehensive workplace driver safety policy? Every employee you have drives, whether to and from work or while on the job. There are a lot of employees who drive and who are not truck drivers. Think about all of the sales people, the delivery driver, the VP on the road or the sales support staff renting a vehicle, they are all employees who drive, they are all at risk and if you do not have some form of corporate driver training, with a comprehensive workplace driver safety policy, you are at risk of potentially losing an employee or your company. What if one of your employees is driving distracted while talking on his cell phone closing the next big sale for you and he is one of those three a day? A small financial investment in http://www.businessdriversafety.com/ as driver safety training for your employees could be maximized in improved driver safety amongst your employees who drive for business and for all of your corporate driver training needs. Think about it… how do you drive the right number with your staff? Contact https://www.defensivedriving.com/ today to find out how we can help or call 888 545 5422!